The sign-up period was opened from 15th February and was closed one month later. 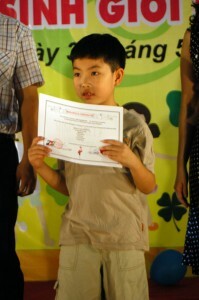 More than 250 kids signed up from www.mingoville.com and began to learn English daily through Mingoville. The youngest kid was only 6 years old from 1st grade and the oldest kid was from 8th grade. 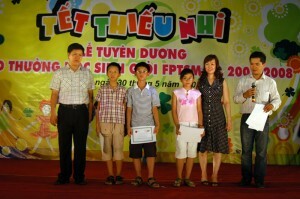 The competition ended by 20th May and 12 kids were chosen to get different prizes. The evaluation of their performance was based on different criteria such as highest scores, amount of finished activities, best song records etc. 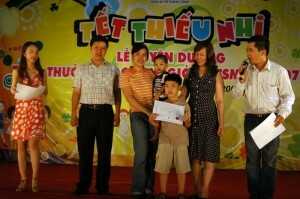 Amazingly, the TOP prize was going to a boy from 2nd grade, Trần Quang Anh. The prize was a summer course in Singapore with a value of 29,5 mio VND! The feedback from the parents on online English learning through Mingoville was very positive, especially concerning the convenience of the program as well as the comprehensive learning materials. Kids were not only acquired language skills but also social skills through their interaction with the program. English learning becomes fun through games-like activities and Mingoville quickly becomes a friend to their kid! Consequently, parents are confident with the course as well as appreciating the fact that Mingoville is 100% free of charge. They won’t have to worry about the high fee when it comes to English learning for their young kids any longer- thanks to FPT, Mingoville’s sponsor in Vietnam!